After Adam and eve ate the forbidden fruit, God became very angry and sent them both outside the Garden of Eden. Outside the garden Adam and Eve had to face too many problems. They had to work very hard for food. Meanwhile Adam and Eve had many sons and daughters. Their first son was named Cain and the second son was named Abel. After growing up, Cain became a farmer, but he was very bad at heart. He did committed of evils. Abel was a good person and became a shepherd. 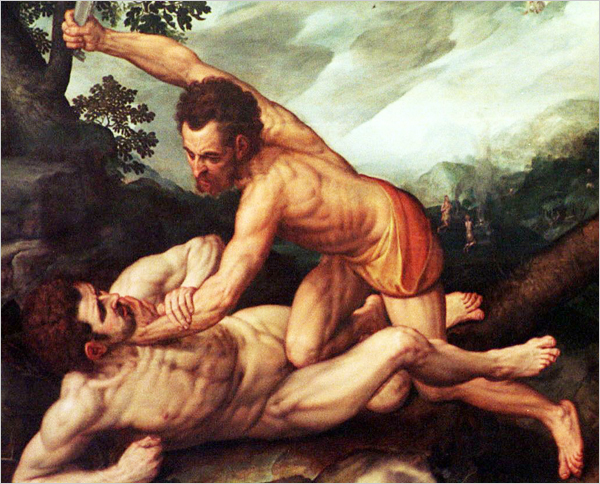 One day, Cain and Abel, individually offered some gift to the Lord. Since, Abel was a very good person, the Lord accepted his offerings. He also warned Cain and told him that he should change his character. Cain became more angry because God didn't accept his offering, but instead accepted Abel's gifts. So he killed Abel when he was alone in the field. 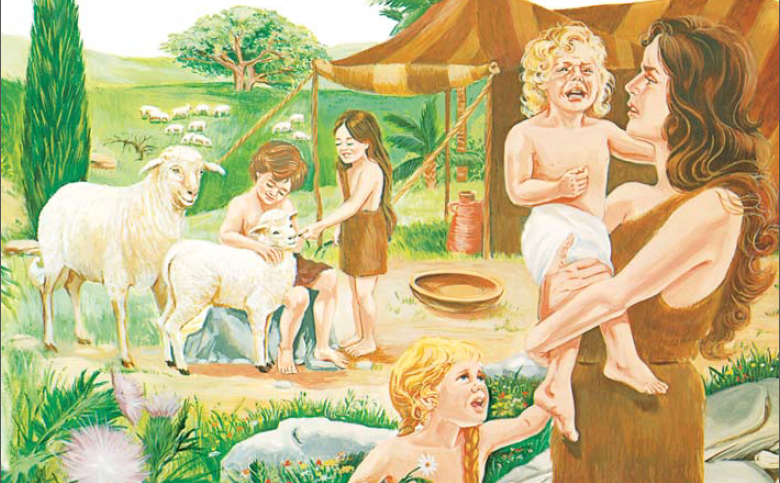 God became very angry and punished Cain by sending far away from the rest of his family.